Happy to help out my fellow blogger at Andrea's World with a great giveaway from Lugz. Read her review below and enter to win! If you have been following my reviews for awhile, you are probably well aware of my husband's and my obsession with LUGZ. Lugz is my husband's all time favorite shoe brand now, after he fell in love with mine simply by seeing how much I adored them. Since then, we have each had multiple styles of Lugz, and it seems that each pair is better than the last. One of the features that we both love the most is the rugged durability of Lugz. They are heavy duty and made to last. As fabulous as that is, the premium thickness of the uppers and heaviness of the soles, while perfect for a quality pair of "get the job done" shoes or boots, is not exactly the ideal composition for a "play" shoe, that is quite necessary in the hot summer months. I mean rugged sneakers are not really what you picture for walk on the beach or a game of Frisbee in the park. You want something lightweight, cool and breathable. That is why so people often wear flip flops, but they are often not very stylish. They can dig in your toes and fall off. They don't give your feet any support. They let sand, pebbles, sticks and grass attack your feet. Basically, they are pretty useless as shoes. There needs to be a shoe that offers the best of both worlds. Comfort, support, style, lightweight breath-ability and high quality. 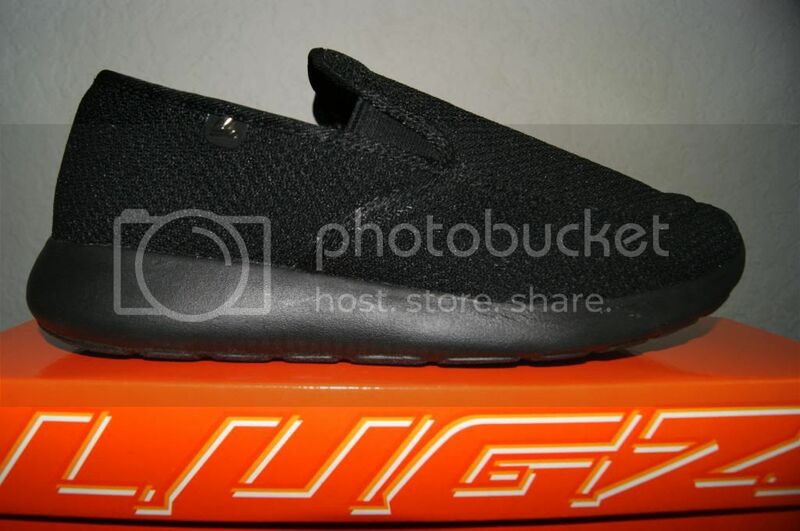 Thankfully, Lugz took care of that, just as they always do, by creating the incredible ZOSHO SLIP ON. These shoes are amazing. My husband knew as soon as he saw them that they were exactly what he has been wishing for. He said to me, "See, they are so light, perfect for wearing around the house, and for errands and stuff." My husband works recycling. He drives(standing up) the truck and gets in and out(hundreds of times a day) to pick up and sort the bins. Tons of standing, jumping(out of the truck) and walking and running(from bin to bin). That can take a real toll on his legs and feet, especially in heavy work shoes. So when he gets home, the last thing he needs is more heavy shoes. They are great for doing yard work or home projects, things that need a heavy duty shoe, or for going out a looking great in the perfect sneaker or boot. But when he wants to kick back and relax, the Zosho Slips are a lifesaver. He loves that they are slip on. It makes it so fast and easy to just throw them on. He puts them on as soon as he gets off work every day, and he has worn them everywhere. He has worn them outside playing with the kids, to the grocery store, the bank etc, etc. We even hit a few theme parks last month, and he wore the Zosho Slip Ons. It was tons of walking out in the hot Florida heat, and he said his feet felt great all day. there was even water rides(that got us soaked) and some pouring rain, and his Zoshos were wonderful. I on the other hand went with a heavy sneaker, and my feet were dying after like 15 minutes. They were cramped and suffocating. My legs were getting tired and I got blisters on my toes. It was a nightmare. I tried a different pair(of heavy sneakers) the second time, and it was just just as bad. I decided to walk barefoot all over as an improvement. 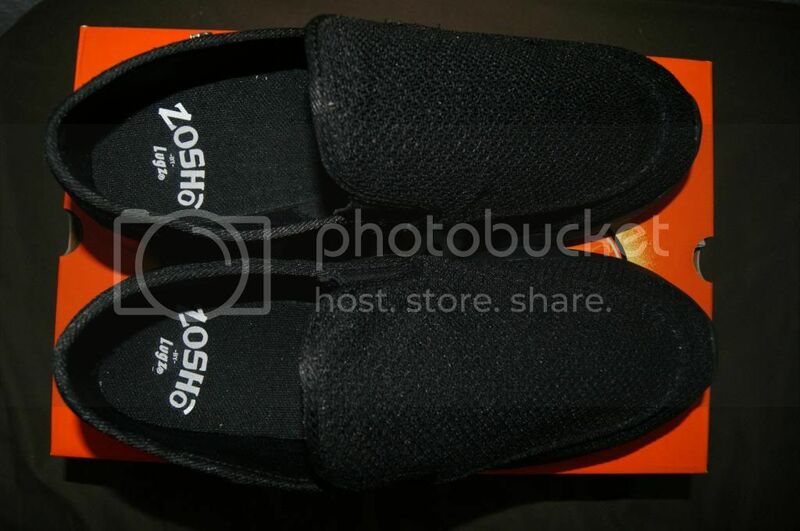 I decided that I need a pair of Zosho Slip Ons. I hate hot, heavy, rigid shoes. I want something that will move with me, let my feet breathe, and not drag my legs down, but I need the arch support of a sneaker. I know Lugz has my back with the Zoshos. Hubby says they are probably the most comfortable(overall) shoes he has ever owned. He has some heavy ones(Lugz as well) that he completely loves, but as a whole, for comfort, style, support, fit, breath-ability, durability, lightweight feel, and quality, the Zosho Slip Ons win hands down(in his words). The Zoshos really are amazing. 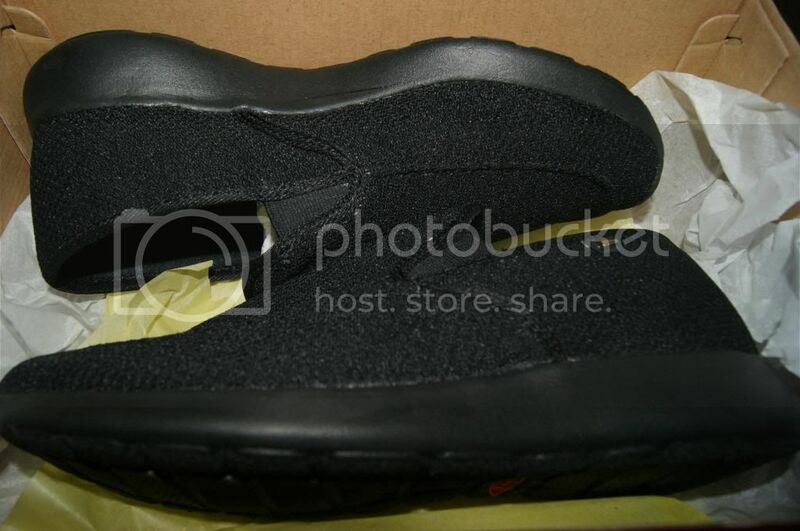 They are like a feather to hold, the upper is so well ventilated, the sole is very light, yet cushiony and supportive. 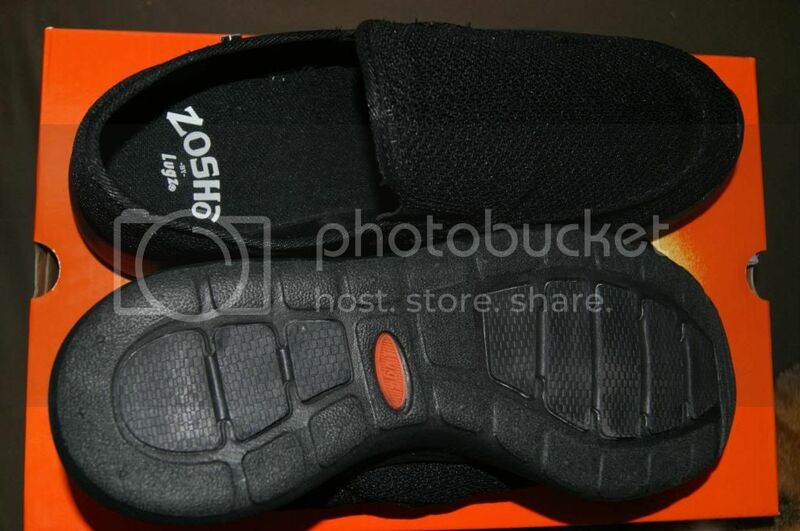 It is so flexible, you could fold the shoe in half if you wanted to. The material is so high quality and durable that they would stand up to anything. Water? No problem. Scuffs? No way. You could throw them off a building or run them over with a truck, and other than maybe getting a little dirty, they would be in perfect condition. I swear, they are indestructible. Finally a shoe that is both tough and "gentle". Seriously, the style is so awesome. They are so sleek looking. 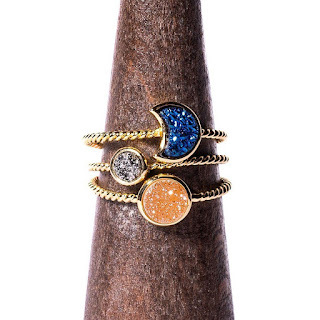 They are simple yet not plain or boring. The have the super cute L logo that is small and understated, Just enough to give them a little bit of pop without distracting from the awesome shape and material. I love the timelessness of the solid black that I close for hubby, but these also come in black with white soles as well as many other super fun colors. So if you want to brighten your shoe wardrobe, Zoshos are perfect for that as well. These shoes are perfect for any relaxing occasion or to make outdoor activities more comfortable. No more hot, sweaty(gross) summer feet. No more clunking around at BBQs, picnics, on bike rides, and so on. When you need a shoe to be lightweight and still perform like a heavy duty, then there is no choice but Lugz Zosho Slip Ons. These shoes do it all and more. I want everyone to try these incredible shoes. Unfortunately, I cannot make sure that everyone does, but Lugz and I are going to take care of one person. We are giving a pair of these fabulous Zosho Slip Ons to one very lucky winner. Enter below for your chance. Good luck. *Although we received these at no cost to facilitate a review, all opinions are 100% my own* Reviewz &newz is not responsible for shipment of prize. I like that their Lugz because we love Lugz and they are in style. My husband loves Lugz! Theres no thinking involved, if its Lugz he knows its stylish. Id pick the black with black sole. I love that there is a manly version of my favorite type of shoes for my hubby..love love love! I love slip on shoes and this one looks very comfortable! I'll check this out for my husband. Lugs are a quality brand. They look like a very good winter shoe--which I will be needing this year-guess I will check them out! Those look comfortable. I have heard of these, we are school shopping so I will have my son look at their shoes. I bet these would be super comfortable! I like the fact that they aren't heavy, but look durable enough for wear around the house, and of course slip ons are super easy too... hubby would love them. Very interesting, i'm sure my spouse would be happy if ever i have the chance of winning. I love the variety of shoes that Lugz has. I would love to win these. Their shoes looks high-quality. would love to win. 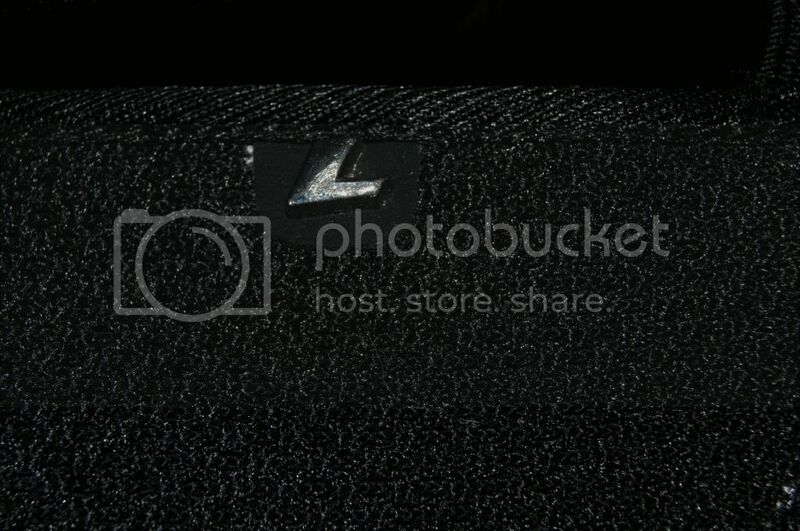 looks like an awesome shoe! wanna win it for hubby! I love that they are slip on and look so comfortable! They would go with almost anything too! I like that they are so tuff, but also very comfortable! I like a shoe that feels good, but holds up well too! I like that they look comfy, yet, I know they are durable. Thanks so much!